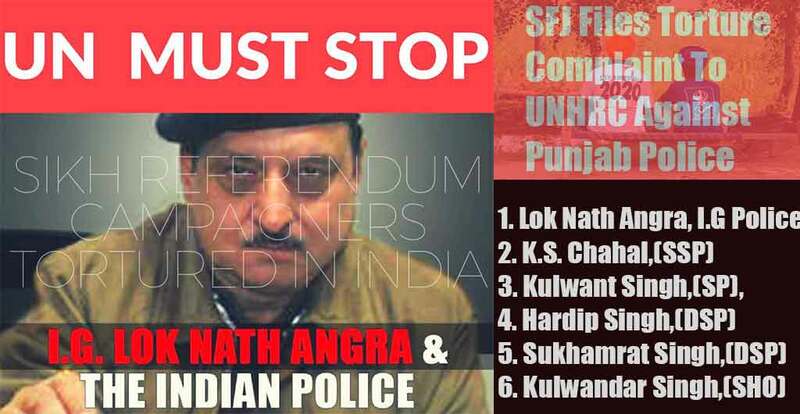 New York: A US based Sikh activists group, Sikhs For Justice, has filed a complaint filed with United Nations Human Rights Commission against top police officers of Punjab, including I.G. Lok Nath Angra. Kulwandar Singh, Station House Officer (SHO), Police Station Chabbewal. 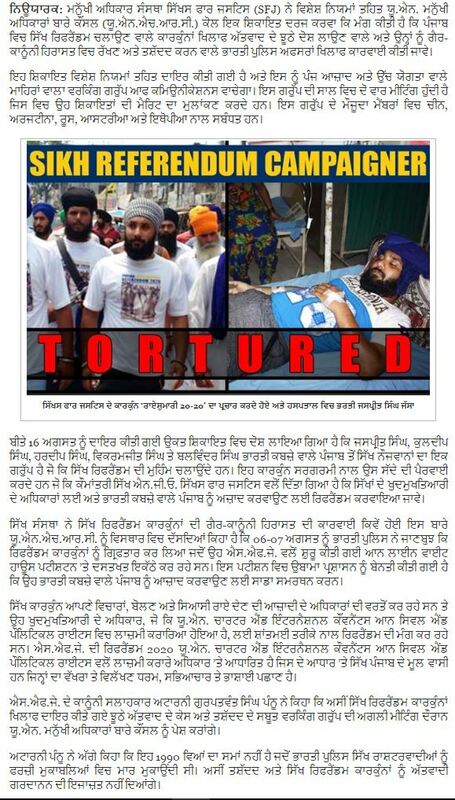 SFJ has alleged in its complaint that these officers were responsible for torturing Jaspreet Singh, Kuldeep Singh, Hardeep Singh, Vikramjit Singh and Balwinder Singh who were campaigning for Sikhs For Justice’s “Referendum 2020” campaign. Attorney Gurpatwant Singh Pannun, advisor to SFJ, said that a penal of the UNHRC that meets twice a year would examine the complaint.